When looking at an impulse sealer which should you choose? A large one, or a small one? One with a cutter or without? What about the replacement parts? What is the difference in the wires and such? Today, Carole called our office and asked for some help. The questions to cover Carole’s projects will probably be helpful for others, so we will cover impulse sealers today. Sizes of impulse sealers should be considered when choosing. If you plan to seal small bags or soaps then choose the largest size that will accommodate all projects you are currently planning. If you seal mostly books, large packages and such, get a larger sealer. Don’t try to make do, you will only make yourself crazy in the meantime. Most people who make soaps and bath salts only need an 8 inch sealer. Boxes and gift packages may need a 12 inch sealer, or larger. Do you make bags that have a bottom flap? This is a bottom flap photo. This type of seal, called a flat welded seam, is made by a flat wire. The round wires are for making hard edge welded seams. If you want to make bags that have the bottom flap, you really need to get a cutter on your impulse sealer. 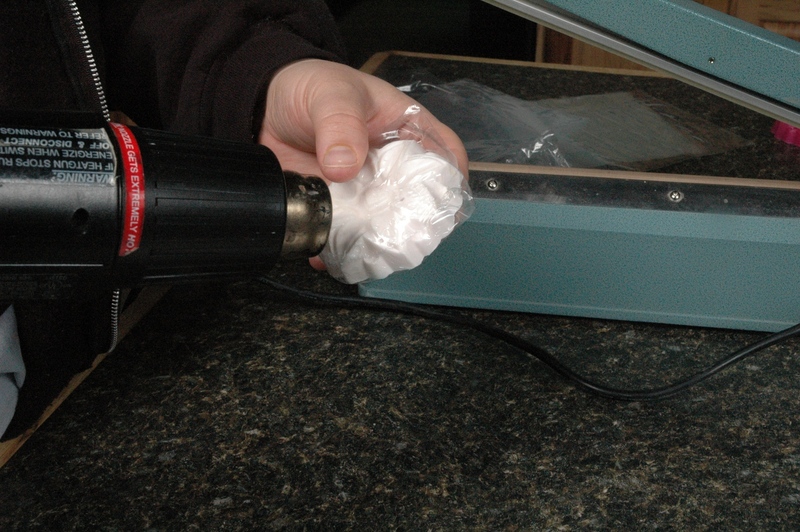 If you have no intention of making bags, just sealing shrinkable pouches, then get the impulse sealer without a cutter. 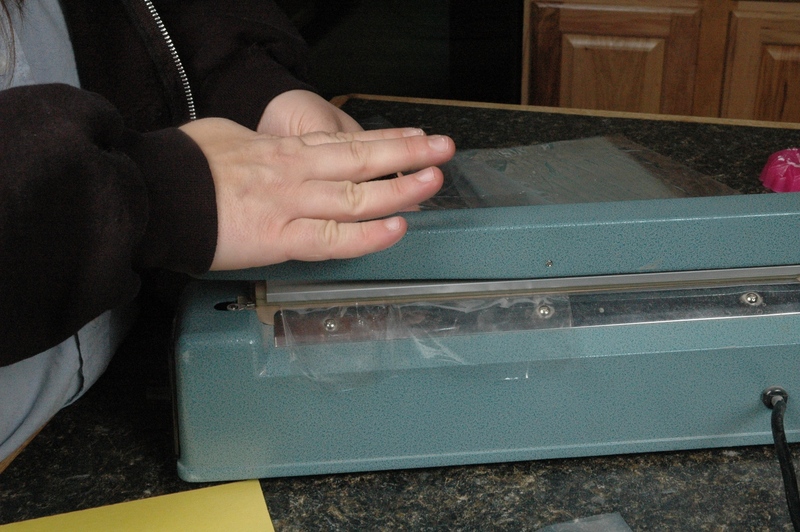 First, let me show you how to make a bag with the impulse sealer and the flat wire. Place the plastic under the sealing arm. Press down on the arm. Set the heat until a weld has been sufficiently made. Do not heat any longer than necessary. Now, let’s make a sealed pouch which will be shrunk with a heat gun. Put the item to be wrapped in the shrink bag. Position the bag under the arm to make the bag as small as possible. While pressing down the arm with one hand, gently pull the item away with the other. You can see that once the welded seam was finished the bag was able to be pulled away. 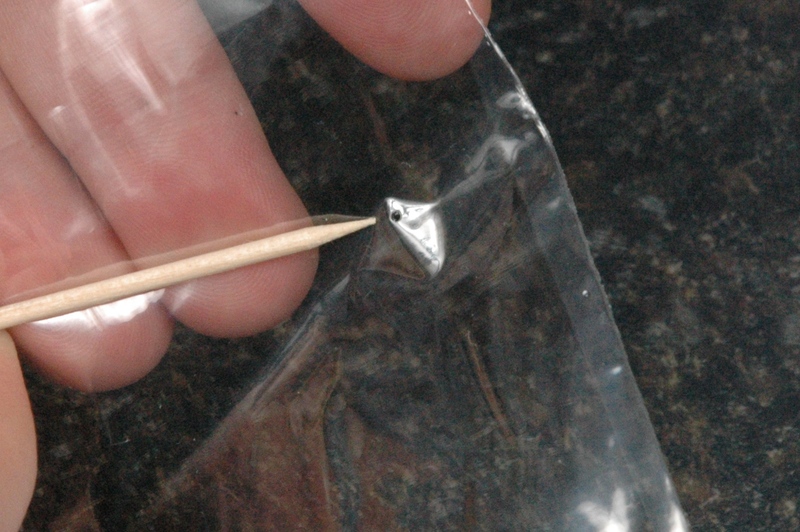 Remove the excess bag material and always keep the teflon strips free from debris. If melted bag material is allowed to build up on the teflon strips, it will shorten the life of these strip pads and you will spend more money on maintenance kits. Here are some points to clarify today’s post. 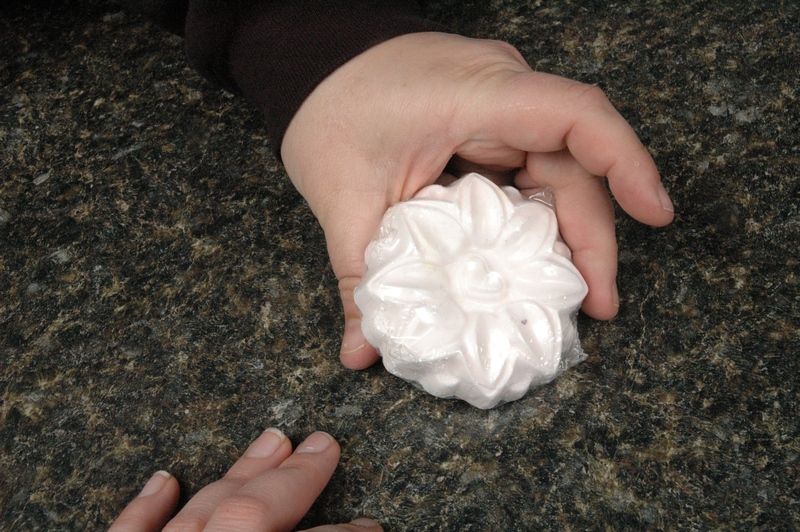 Get the largest sealer you need. Don’t get one much bigger than you need, just sufficient. Cutters are needed for making bags with end flaps. If you are not making bags like this, skip the cutter. Round wires are for making welded seams with no excess. Flat wires are for making flat welded seams with end flaps. We hope this has helped everyone make a better choice, as well as knowing how to clean the machine. 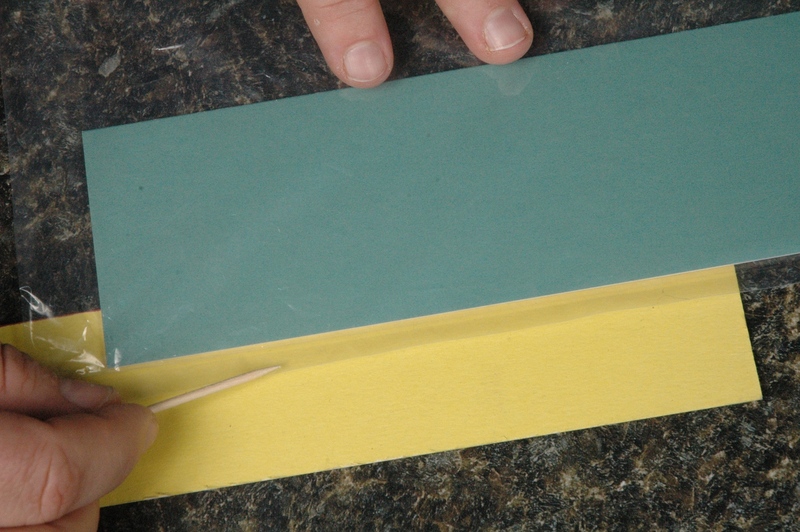 If you need to replace the teflon strips and the impulse heating wires, see our Recipes Section for step by step photos (Installing A Heat Sealer Maintenance Kit). Next week is all about finishing up the Mother’s Day Gift Baskets! This is a bag with a bottom flap. I inserted the colored paper so the flap could be seen better. This is the hole in the 6X6 shrink bags that allows air to escape the bag as you shrink it. Place the plastic bag under the sealing arm. Press down on the arm. 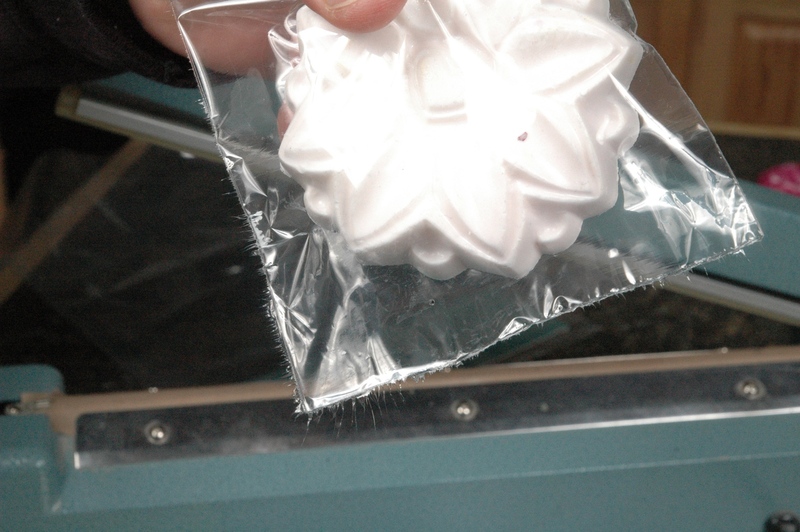 The sealed shrink bag with soap in it. Our soap in a finished shrink bag. 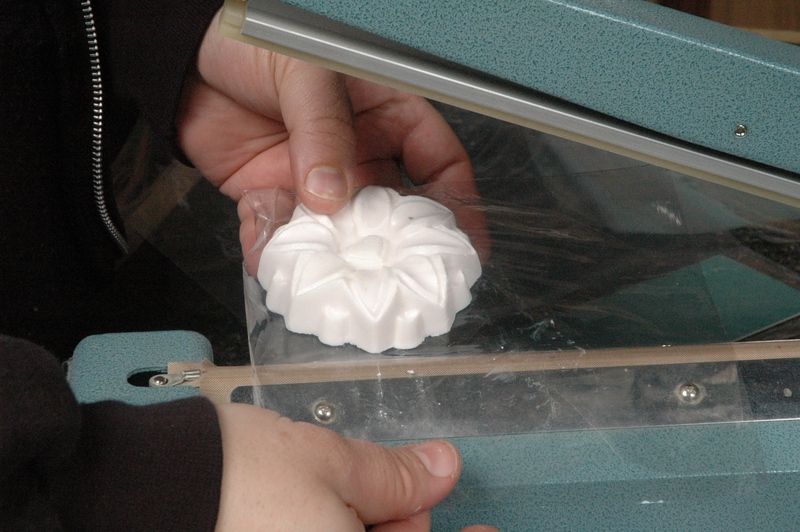 Using the heat gun to shrink the bag around the soap. If I get a sealer with cutter and flat wire so that I can make flat welded seams with end flaps, can I switch the flat wire for the round wire when I occasionally want to make welded seams with no excess? thanks. Yes! You are completely correct.